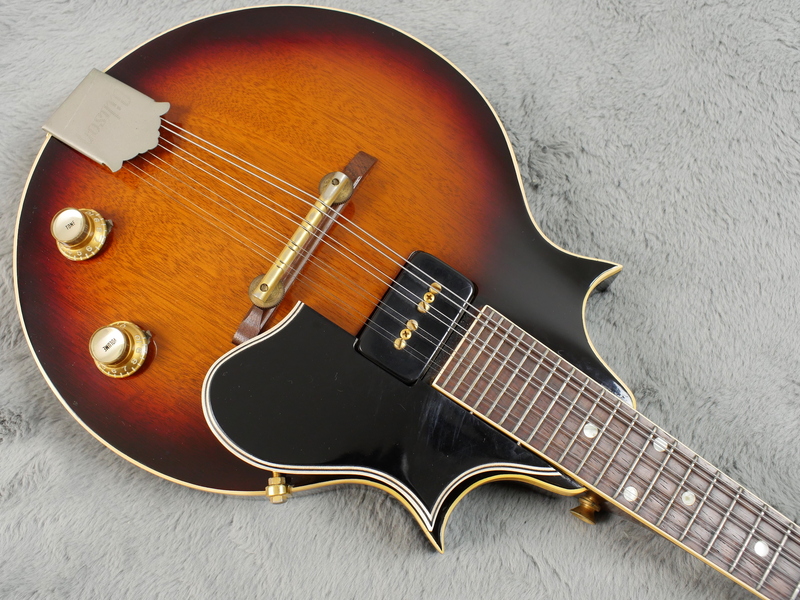 How cute is this little puppy...? 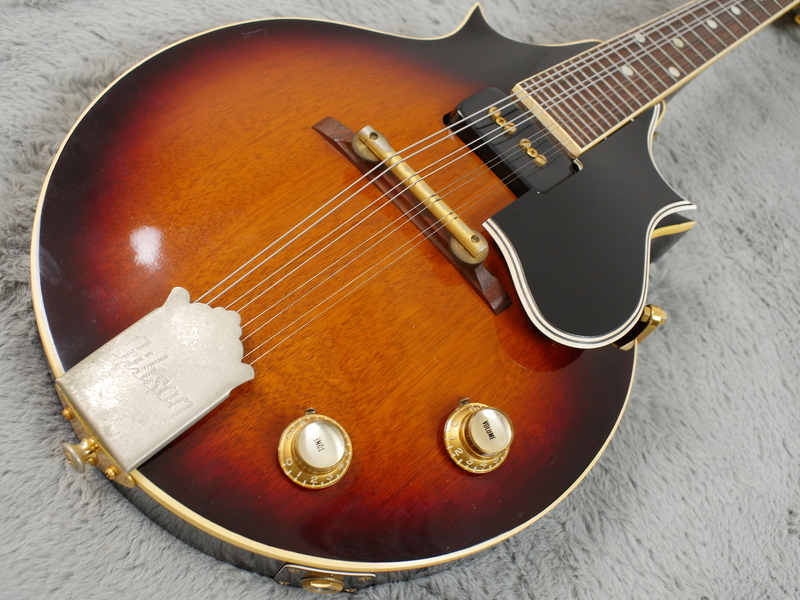 Just in time for Xmas, if you have a large enough stocking you should be able to just squeeze this awesome electric mandolin right in there. 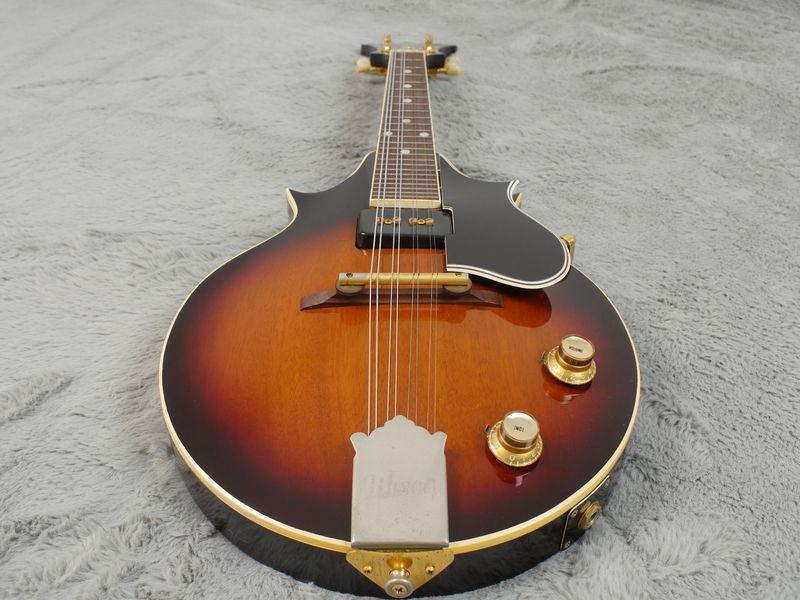 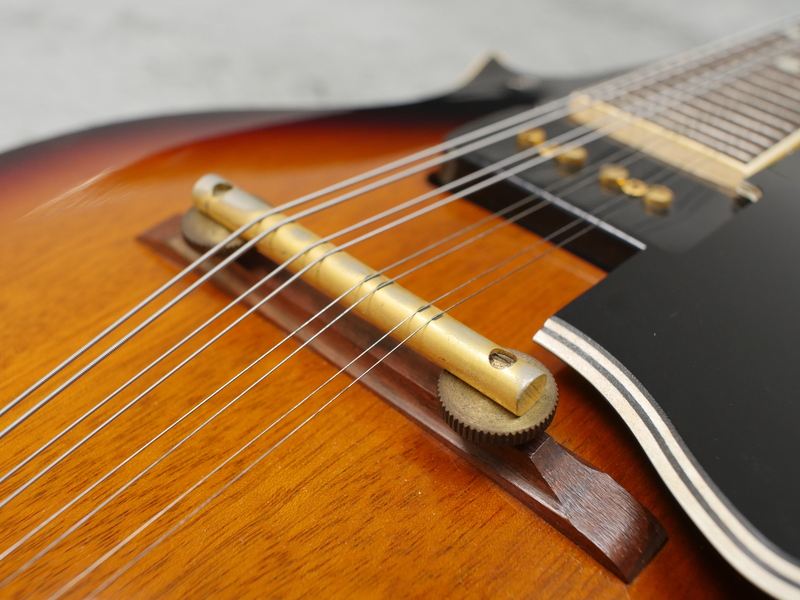 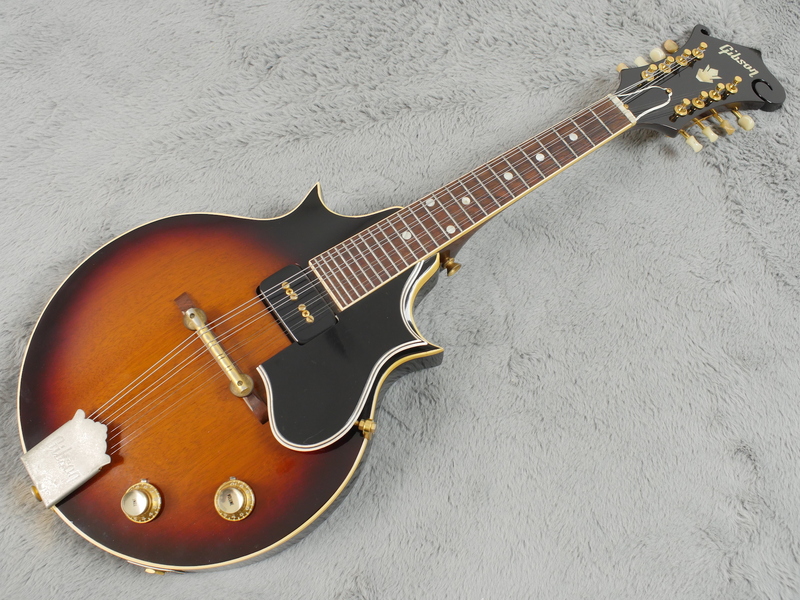 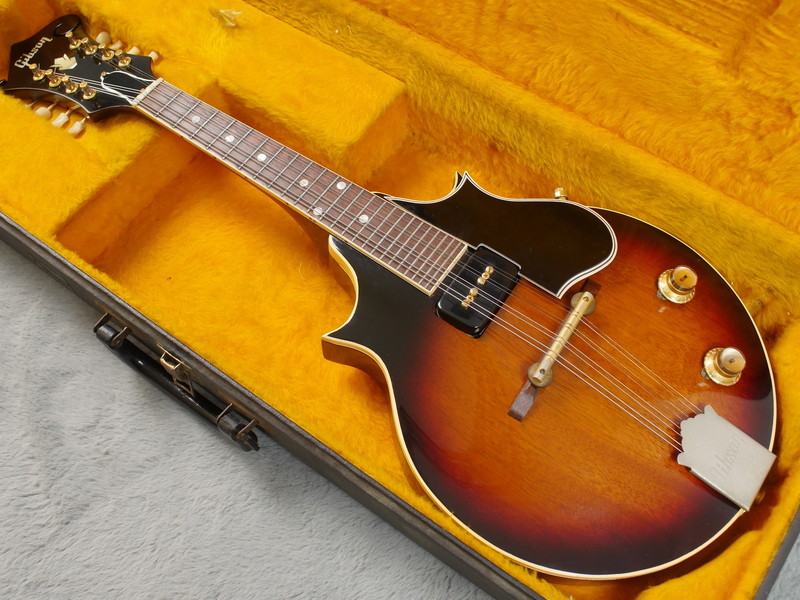 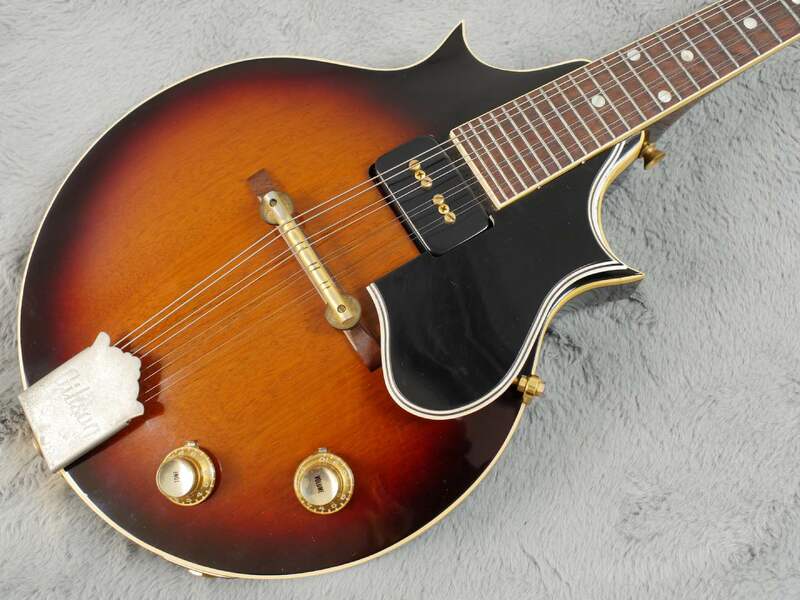 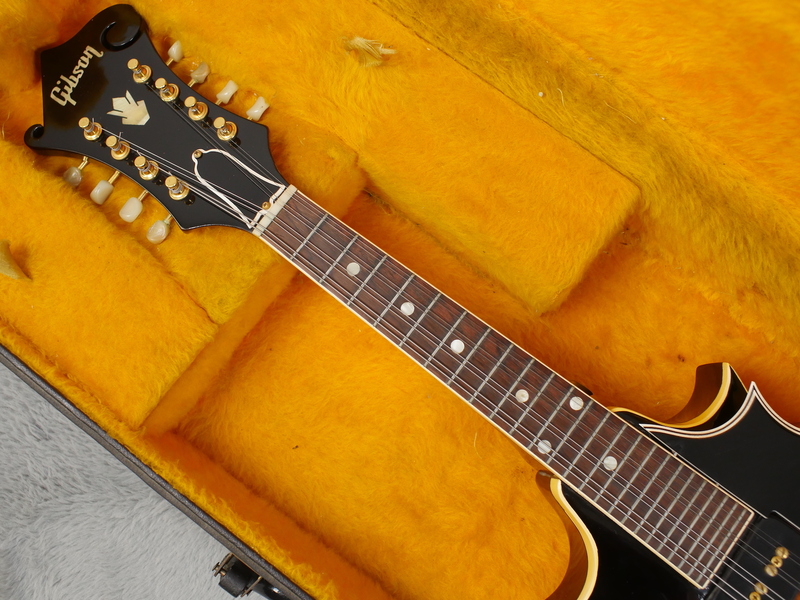 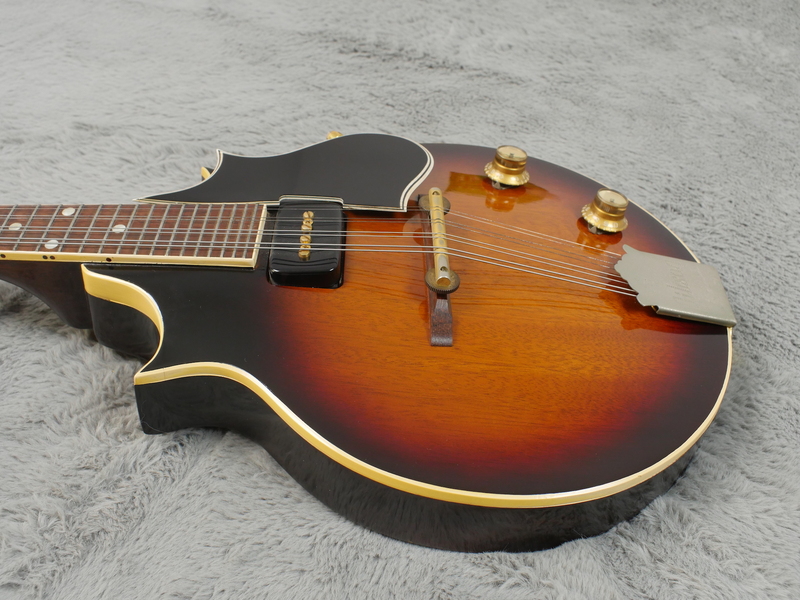 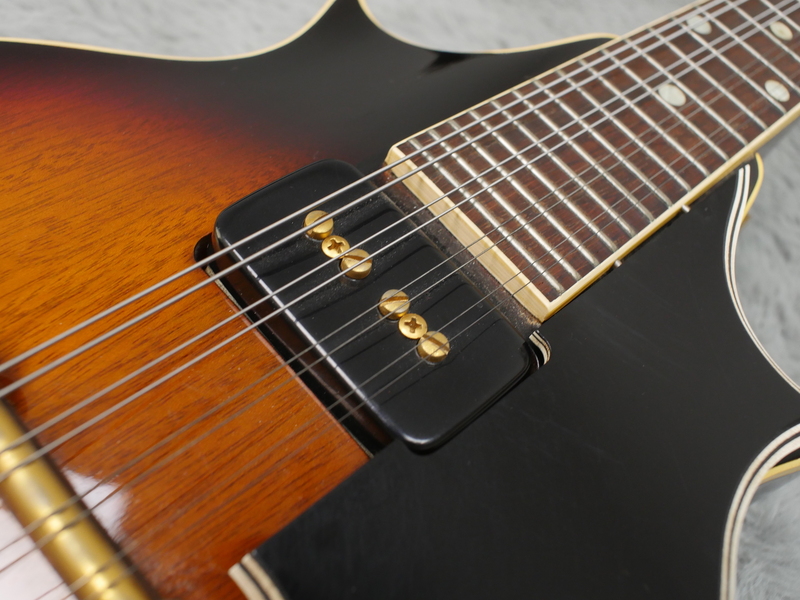 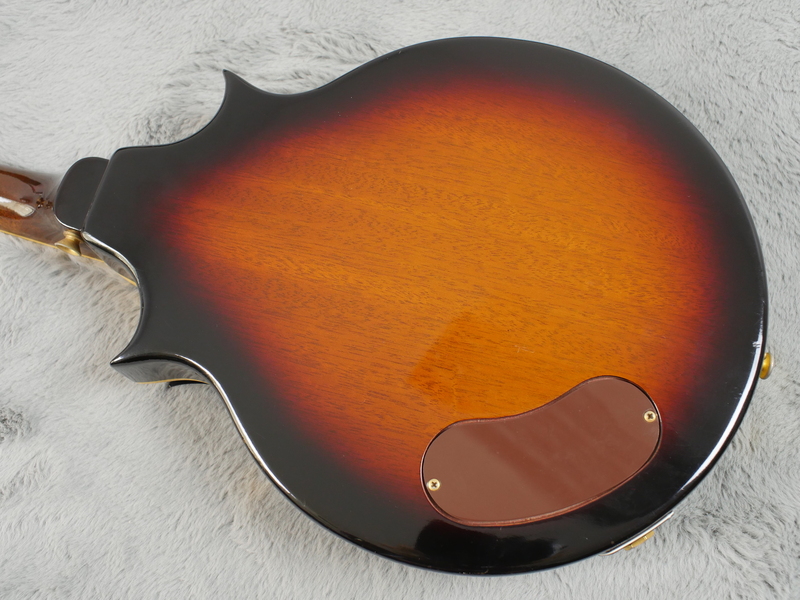 Probably the finest and cleanest, all original and comparatively rare 1962 Gibson EM-200 Electric Mandolin out there right now and one with no breaks or repairs or finish issues whatsoever. 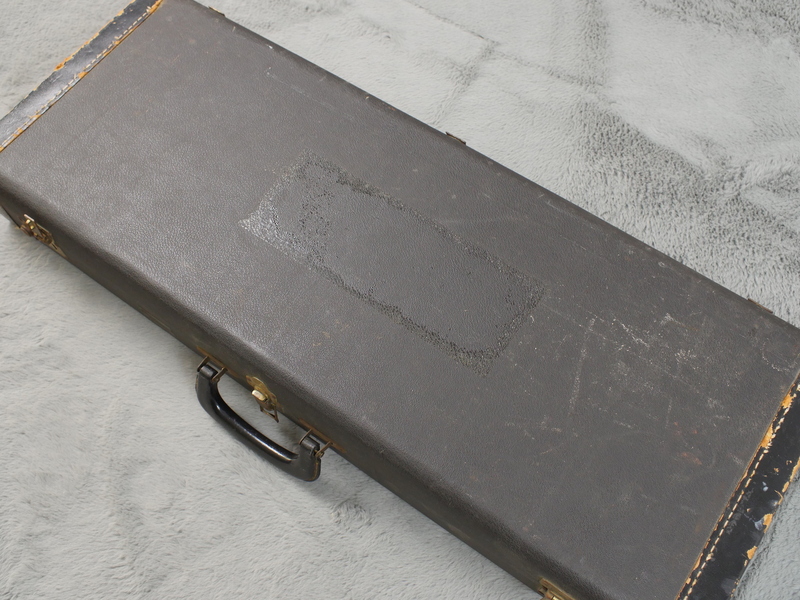 It also includes its original, specially made hard case to complete a rather nice package. 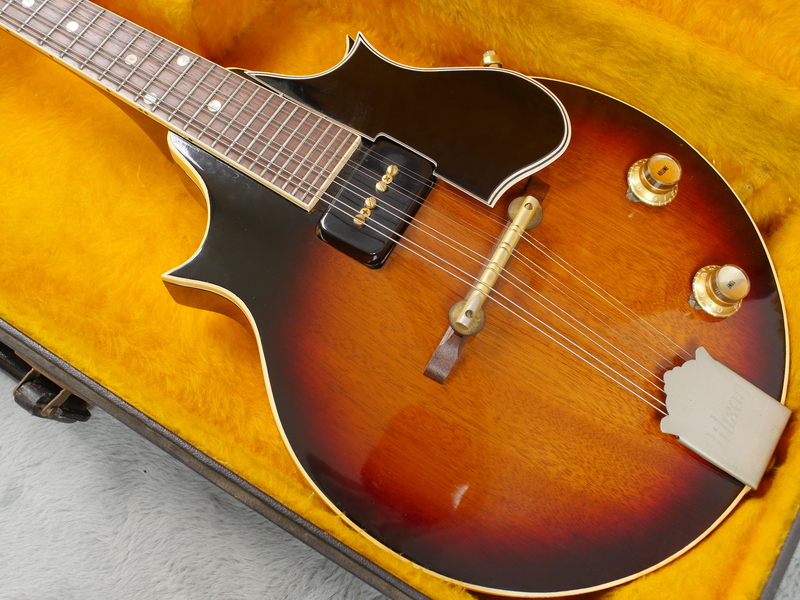 These are relatively rare Gibson electric mandolins, you do not see many of these in comparison to the more common EM-150. 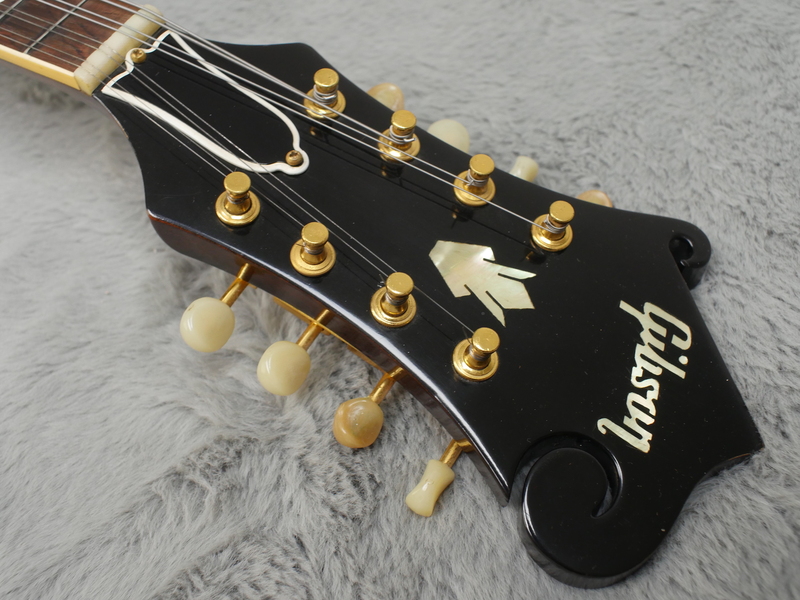 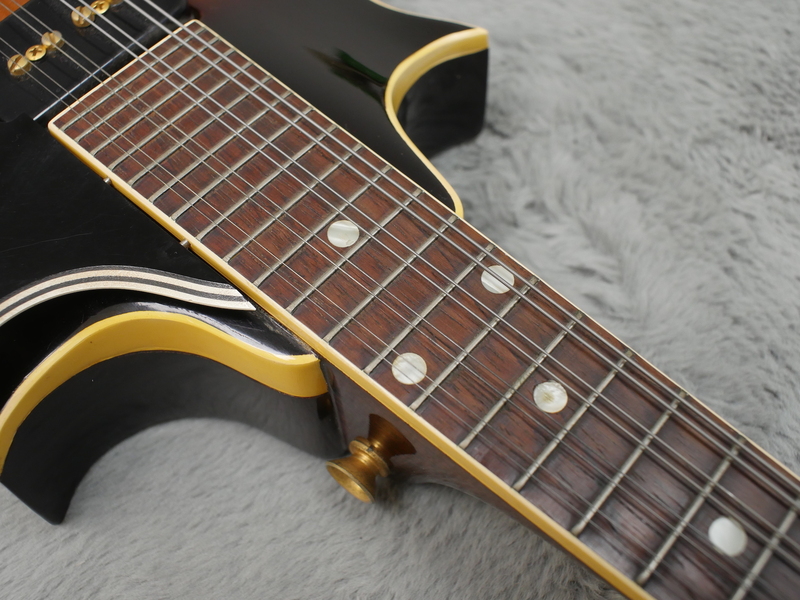 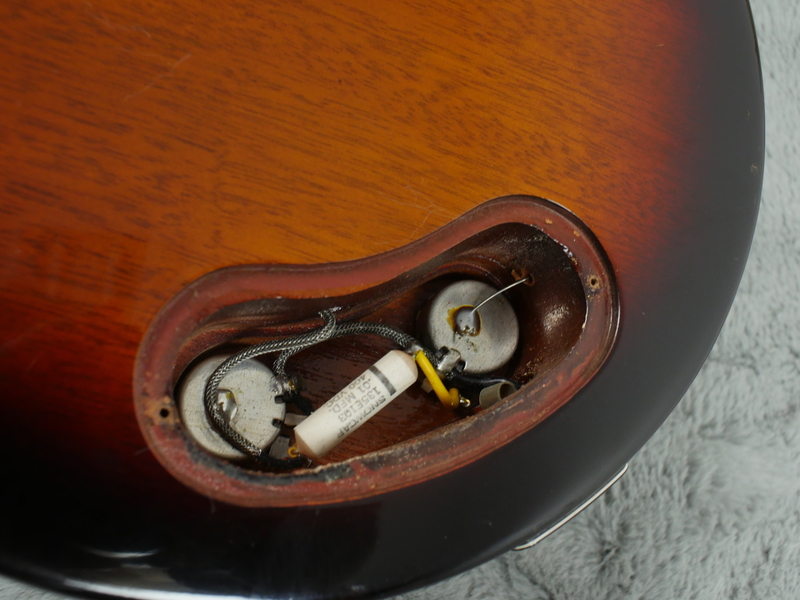 They are solid body and loosely designed like the F5 with deluxe appointments and gold plated parts. 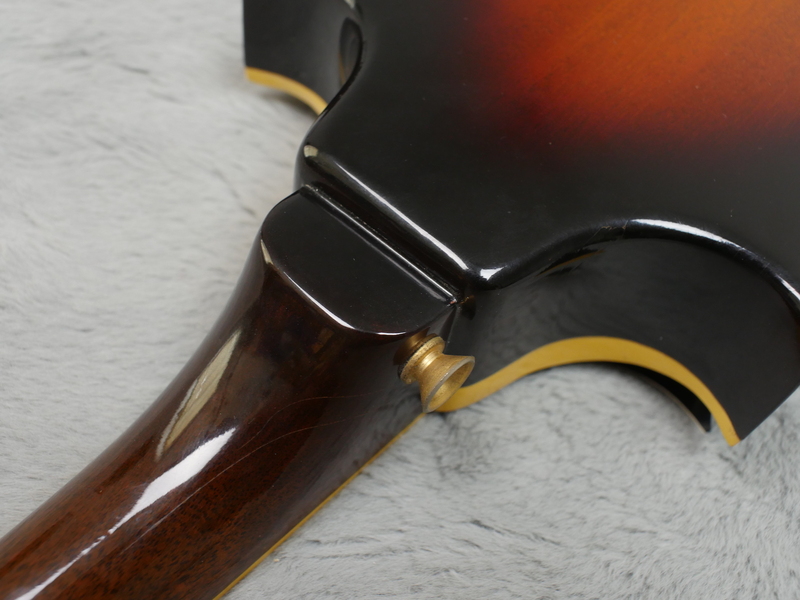 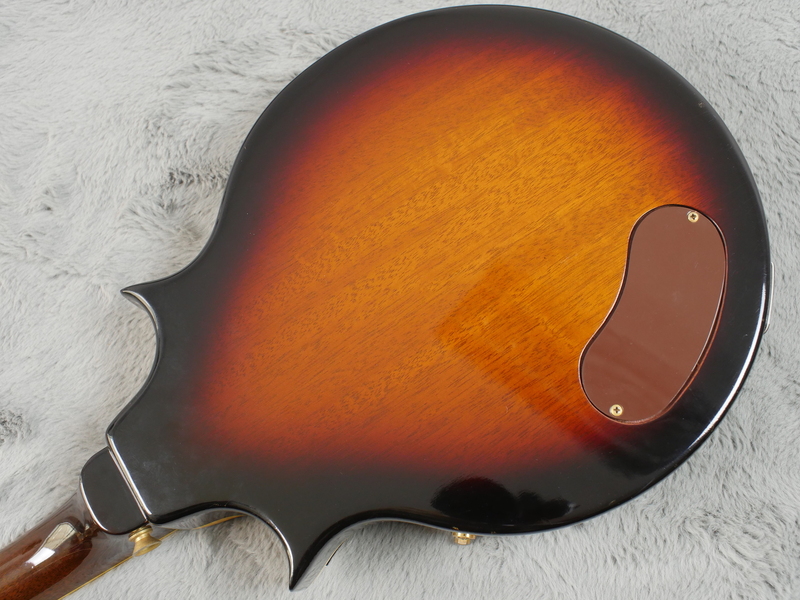 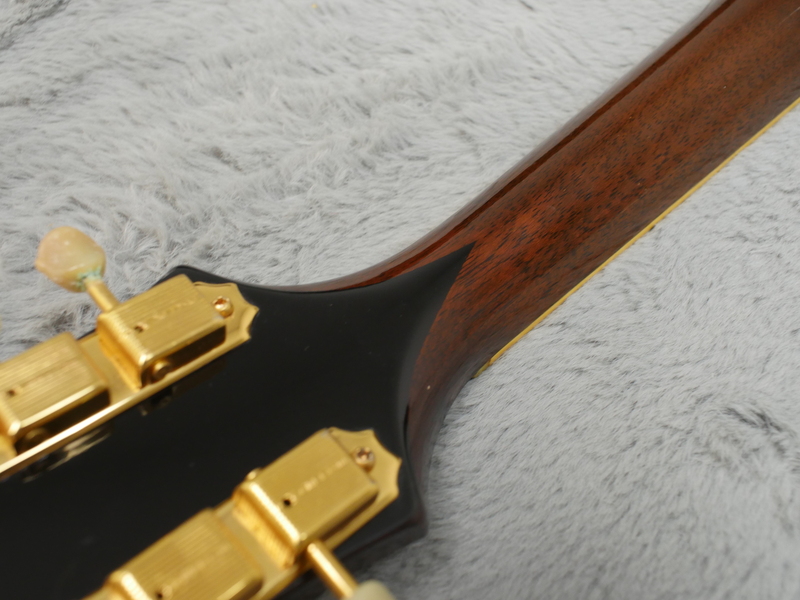 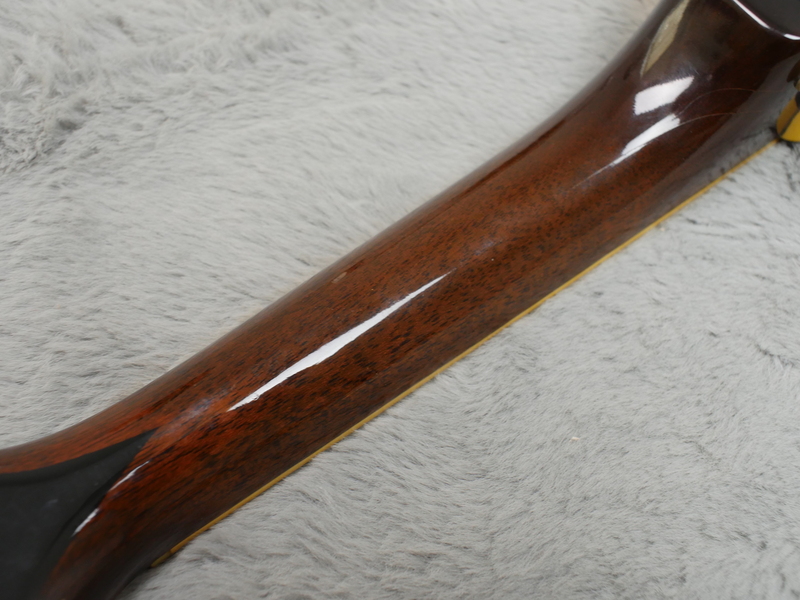 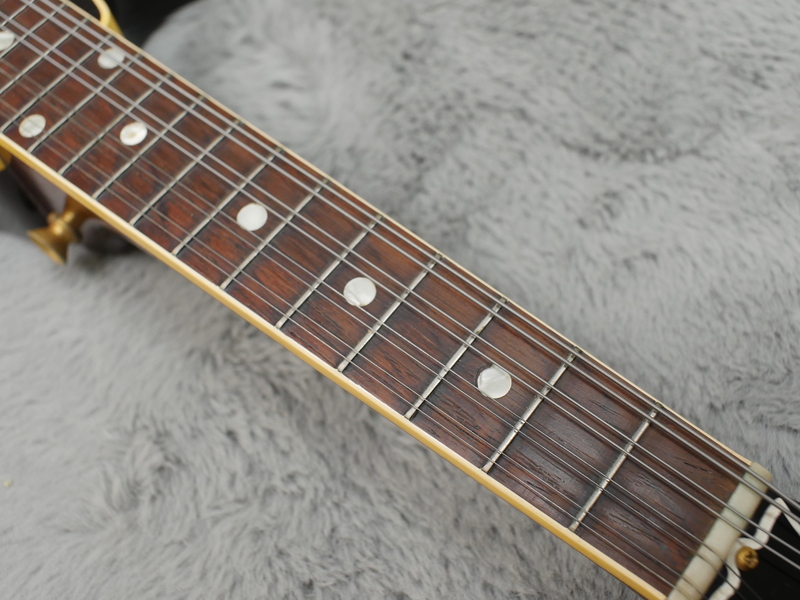 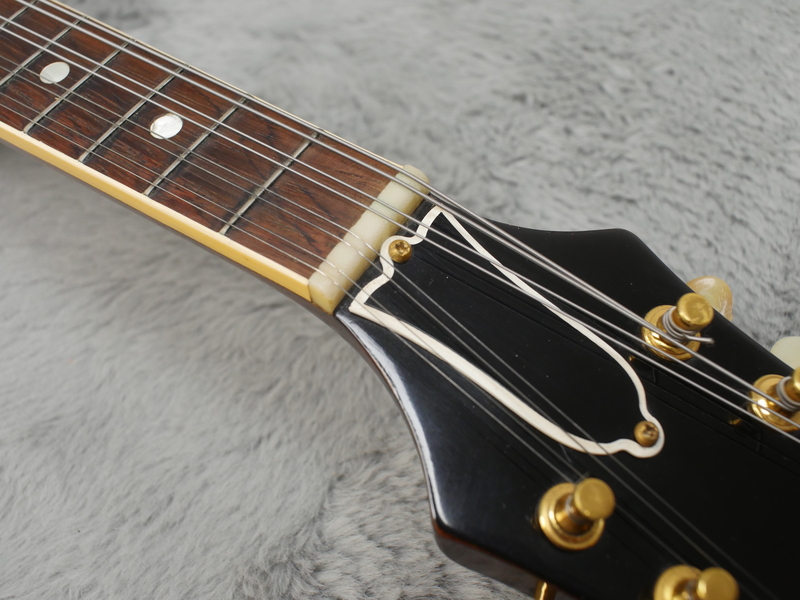 There is hardly a mark anywhere on this beauty and the only things that prevent us from describing it as mint are just a few tiny dings here and there plus a fair bit of gold plating worn off the tailpiece (see pictures). 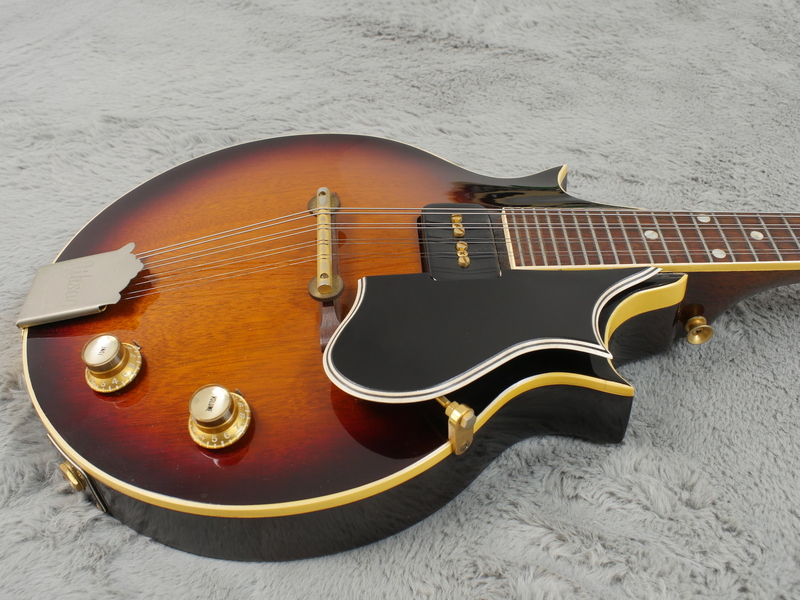 It is impeccably set up with a blindingly fast and low action. 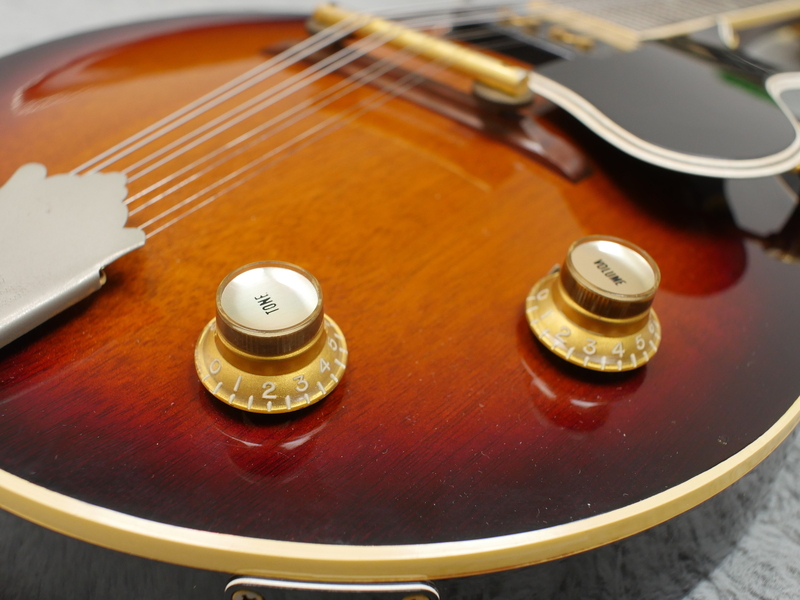 Our in house mandolin aficionado says it is one of the easiest mandolins to play he has ever encountered and to mandolin lay people like us, it certainly seems that way.